St James the Less church in Hadleigh is a grade 1 listed Saxon church with a Norman chancel built in the centre of Hadleigh. 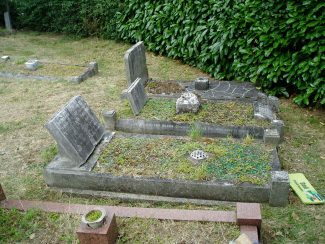 In 2016, the Friends of Hadleigh Church (St James the Less) were fortunate in receiving Lottery funding towards a project to share Hadleigh’s heritage with the wider community through exploring the lives of the important people who are buried in the churchyard. 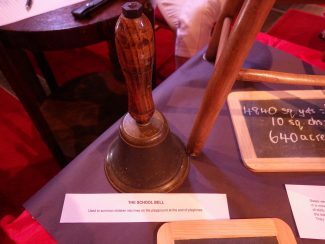 An information pack was produced to be made available to local schools and other local organisations which summarized the period by period history of Hadleigh to give a background setting for the lives of the most important people buried in the churchyard. This was illustrated by a local timeline. The information pack is now available for sale, more information here. Those people’s stories were told in “Grave Revelations” which along with the history of local military figures with memorials in the churchyard will be available publically through Hadleigh Library. This article is designed to be a door to information collected from the research for the project. 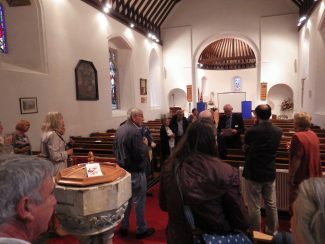 On Saturdays between the talks, church coffee mornings allowed residents both to see relevant exhibitions and give an opportunity to discuss their own lives and times in Hadleigh. The talks and coffee mornings proved very successful with over about 70 people at any one time. The interest of people young and old in their own local history proved to be very substantial as between 50 and 80 people attended every event. Combining with local historians and authors, the Hadleigh & Thundersley Community Archive and AGES AHA, the local archaeological and historical club, we hope that we have informed local residents and encouraged an ever increasing enthusiasm for local heritage.